President & CEO Kristina Bouweiri is the sole owner of the Washington DC metropolitan area’s largest luxury transportation provider. Thanks to Kristina’s innovative business strategies over the last two decades, Reston Limousine and Travel Service, Inc. has enjoyed continued growth despite regional and national economic downturns. Starting with the diversification into wedding transportation in 1990, Kristina has expanded the business into new market segments such as government contracts and group transportation. Even as shuttle contracts led to exponential growth for the company, Kristina created new markets on the charter side, such as the company’s signature wine tours in what is now billed as DC’s Wine Country. Bouweiri also has led the company’s commitment to implementing the latest in technology trends. The leading private transportation provider in Washington DC when it comes to technology, Reston Limousine utilizes cameras on its bus fleet, GPS in all vehicles and TrafficLand software to monitor DC area traffic patterns. Kristina also has been an early adopter of social media, from blogging to social sharing sites including Facebook, Twitter, Pinterest, Google Plus, Instagram and more. Through LinkedIn, Kristina leveraged her international network to launch the company’s global services, which provides worldwide transportation through a vetted affiliate network. 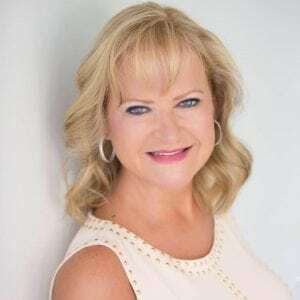 An active business community leader, Kristina is a board member of influential civic organizations and business publications such as the DC Chamber of Commerce, SmartCEO magazine, Inova Loudoun Hospital Foundation, and Enterprising Women magazine, among others. She also is a member of the Dean’s Council of the George Mason School of Business, where she helped launch a Women’s in Business Initiative program to support students, alumnae and other businesswomen. The Washington Business Journal named Kristina one of the 50 most powerful and influential women in Washington and she has been featured in numerous media and trade publications such as The Washington Post, Washington SmartCEO and Enterprising Women. As a woman in a traditionally male-dominated industry, Bouweiri has been committed to supporting other women entrepreneurs. She is the founder of the monthly networking luncheon Sterling Women and the annual Virginia Women’s Business Conference – two programs that have helped hundreds of women entrepreneurs and executives achieve their professional goals. She also is an international speaker on topics ranging from business strategy to the use of social media in growing your business, including at the Global Summit of Women in 2010, 2011 and 2012. Her recent awards include George Mason University Outstanding Leadership Award, Heroine of Washington, Washington Business Journal Power 100, and National Operator of the Year. See below for a complete list of her achievements.